Homemakin and Decoratin: I like my new couch pillow! .. then whipped out some yarn and a crochet hook! 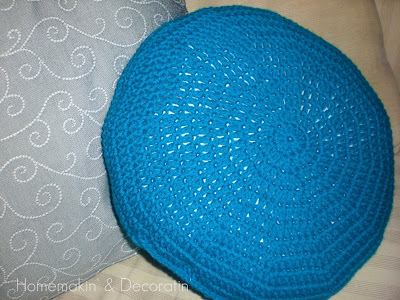 Following this youtube video tutorial, I crocheted two circles. 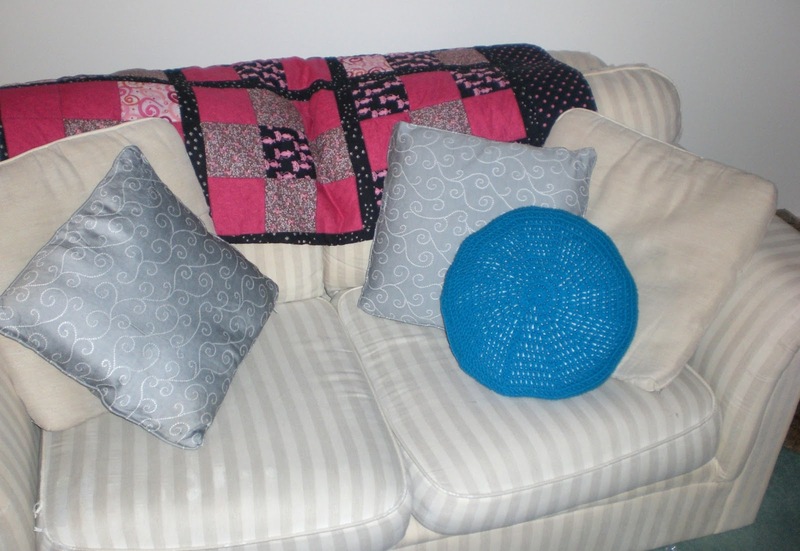 Each one has 12 rows of double crochet. I still don't understand how to make a FLAT circle! It kept puckering. .. and leaving a part open for stuffing. I actually stitched it closed more than the picture shows.. I just didn't take another photo of it after I did it. It was probably about 6 or 7 inches open. Then I stuffed it with 100% polyester stuffing after I turned the material right side out. I cut some material from an old white sheet to line the insides so stuffing won't pop through, but .. not sure how long that's going to last. I guess I hadn't thought that step out all that well! The material pieces will shift I'm sure and the stuffing will most likely pop out here and there someday. oh well! After stuffing it I slipped stitched it closed with a much smaller hook, because the slip stitch creates a raised stitching and I wanted it to look as less noticeable as I could get it. I didn't know any other way to close it up and I don't have a big needle for yarn. 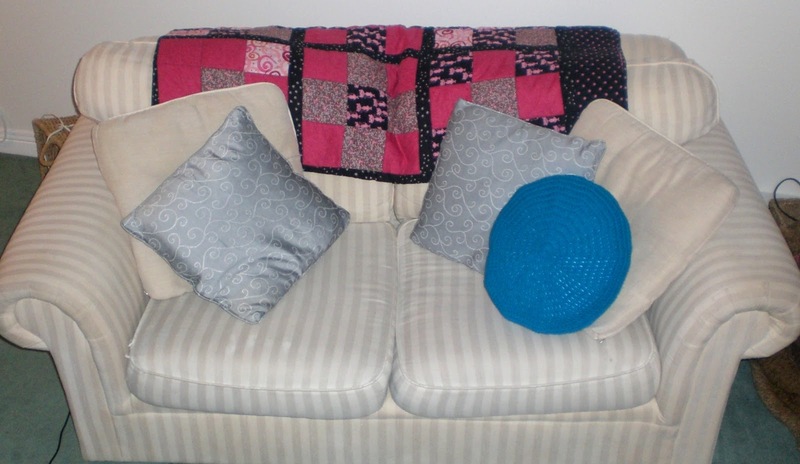 But I managed to finish it and here it is all comfy and cute on our couch. 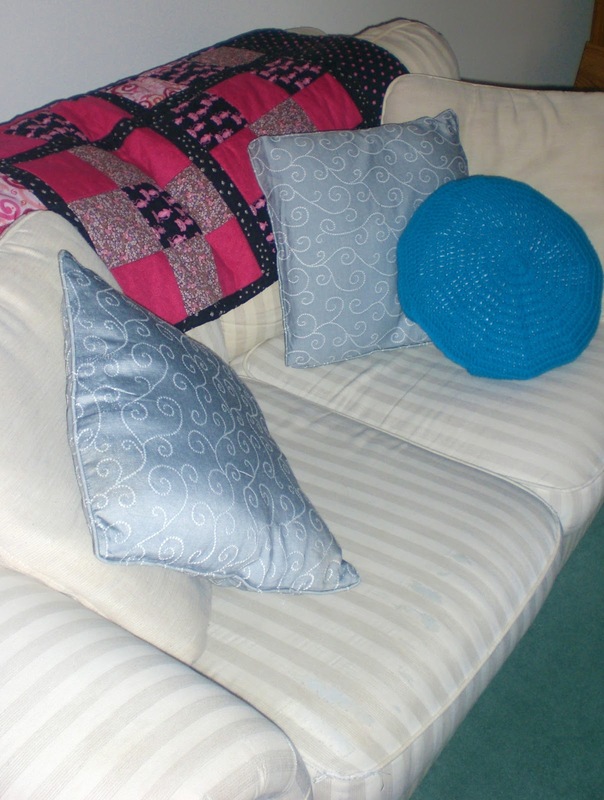 I found the two gray throw pillows yesterday- 2 for $5. They're smaller and thinner than I would prefer, but they're alright until I become rich. They have zippers and an insert inside, so I can redo them sometime if I want. I don't know why they look shiny in the photo, because they're not. They'll also go with the colors I'd like for our bedroom, so maybe they'll eventually find their way in there. And here's me enjoying my new made-by-me pillow! 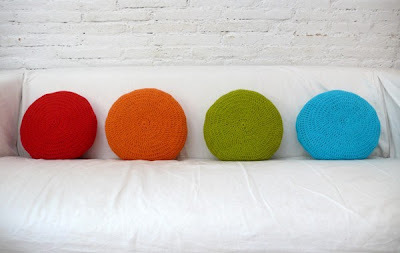 I'd like to make a few more for the living room in some fun bright colors! What do you think? Am I becoming too crochet happy? 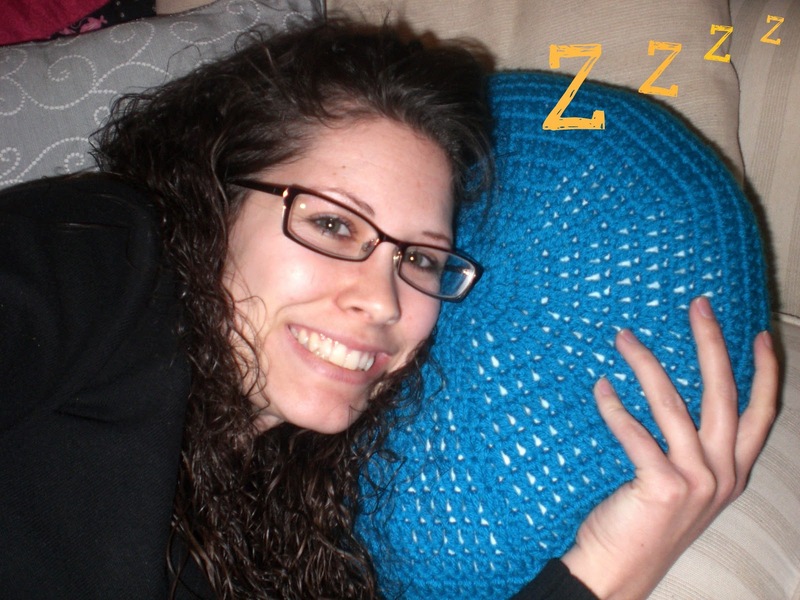 .. because the last several posts have been all about crochet! haha! 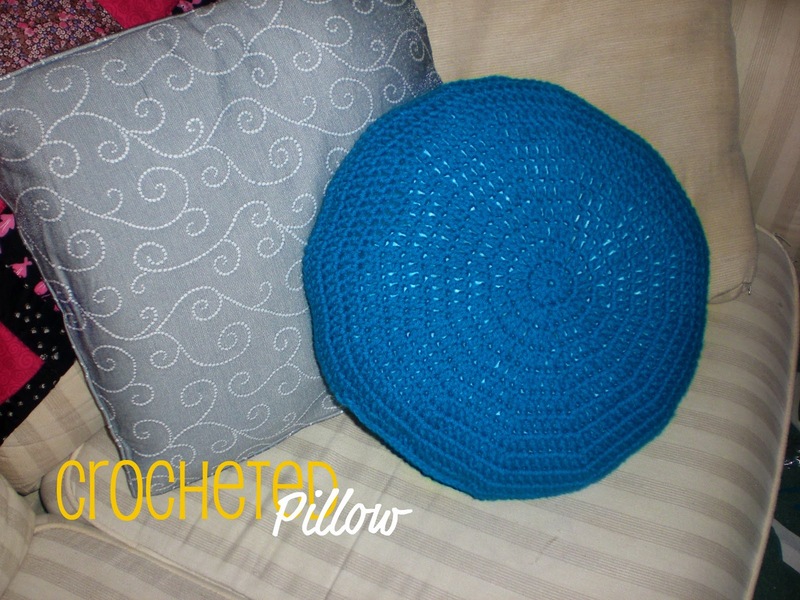 Oh, and it would be really great if I could figure out my stitch gauge - I am a loose crocheter! I'm also posting on my blog. New follower to your blog!